Riviera Nayarit offers its visitors various activities for October, including gastronomic and sports, with the intention of generating higher occupancy rates during the fall season. 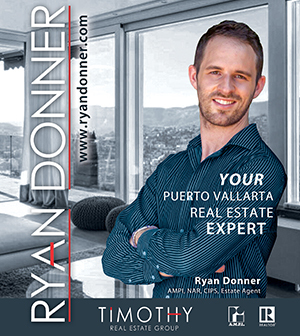 The Convention and Visitors Bureau of the Riviera Nayarit (OCV) reported in a statement that, along with the Association of Hotels and Motels of Bahía de Banderas, they work all year to attract more visitors to the destination. This month we have scheduled the tenth edition of the Vallarta Nayarit Gastronómica, from October 14 to 18 and under the slogan “Mexico, thanks for so much! It is a gourmet weekend, in which professionals and lovers of gastronomy come together to enjoy multiple events that will take place both in Puerto Vallarta and Riviera Nayarit. The meeting will include workshops, pairings, tastings, dinners and special events for the academy, kitchen professionals and the most demanding foodies. For this anniversary edition they will have as guest states Chihuahua and Guanajuato; In addition, Guadalajara has been chosen as the guest city. Meanwhile, the Pee Wee Surfing San Pancho League will take place on October 13 and 14, an itinerant tournament that runs through different Nayarit coastal towns to support the smallest of talent and that these become top-level athletes. On the same dates, the fifth Guayabitos Athletic Race and the Children’s Athletic Festival will be held. 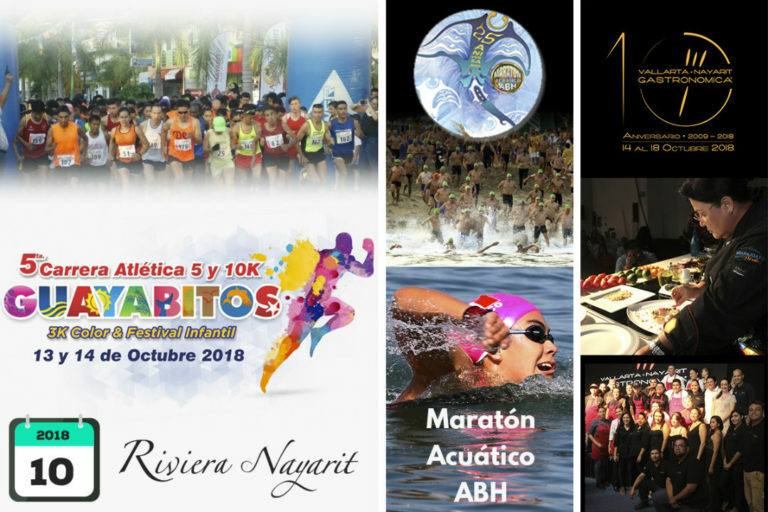 The Aquatic Marathon will be held on October 27, an event that will bring together swimmers from more than 10 states in the country, such as Nayarit, Sinaloa, Jalisco, Puebla, Michoacán, San Luis Potosi, Nuevo Leon, Colima, Guanajuato and the state of Mexico. To close the month, on October 31 the party will be held in honor of Cristo Rey, in Ixtlán del Río, Nayarit. It is celebrated on the last Sunday of October, although a novena is previously held in which the different neighborhoods of the town participate and compete to present the best pilgrimage and allegorical float.